Content Nigeria catches up with Vesselin Shaoulov, CEO of GARB Audience Measurement in Bulgaria, to hear about the importance of audience data in the world of television. Audience measurement is crucial to the television industry worldwide, as TV networks strive to top the ratings, sustain the interest of their audiences and attract ad dollars. However, this doesn’t seem to be the case in Nigeria. Many programmes are produced and aired daily, yet there seems to be no firm structure that keeps abreast of ratings and audience reach. This does a disservice to not only the media industry but also advertising agencies, which are in need of in-depth information on how to reach their target audience. In an interview with Vesselin Shaoulov, Content Nigeria found out why. 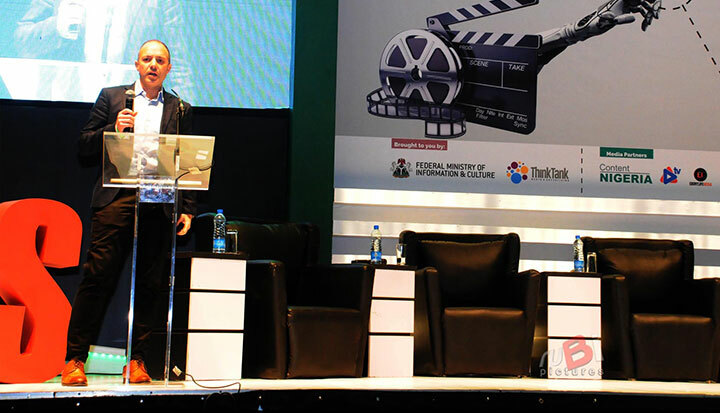 The CEO of GARB Audience Measurement in Bulgaria discusses the way forward, soon after he concluded his keynote speech at the second Creative Nigeria Summit in Lagos last week. Here he gives further insight into his presentation on the key processes when it comes to understanding the importance of audience measurement in the television and film industry. What is your take on the audience diaries system in Nigeria? Nigeria has limited diaries. I am unsure of the extent to which they cover [audience measurement], I am just aware some basic diary system is in existence. But I have no idea how it is set or how it is operated. There’s a book of global guidelines that Nigeria does not feature in because it doesn’t have a recognised system. A system need not be recognised internationally; so long as companies in Nigeria agree on a system then it can be established – but that doesn’t seem to be the case. A guarantee for the Nigerian market could be auditing. There are two major auditing bodies in the world. The main one is a French institute, SPIE, which has been setting the standards for the past 50 years, so its system is reliable and independent. In 2017, our Bulgarian system was recognised as one of the top systems that has been audited in the past 10 years. Looking at the African market, right now South Africa is more than three times bigger [in value] than Nigeria, and there’s only one reason for that: they have metrics and Nigeria doesn’t. South Africa has 60 million people. It has US$300bn in GDP and a profit of US$1.5bn in the media market. This money goes to all the players and creates job and production opportunities for the media market. However, Nigerian media is making US$400m with a population of 200 million. Over US$400bn GDP is produced here – therefore the economy is larger than South Africa by 30% to 40%, and the population even more so. But Nigerian media makes less than a third what South African media does. It’s unfair to Nigeria. If I were Nigerian, I wouldn’t be happy with that because the money that needs to be in my market is elsewhere. Advertising is one of the key products of revenue in media, and every industry benefits from it. Television has proven to be the number one way to reach people and let them know about your product. Everybody talks about the internet, but even that falls short. How do you think audience measurement can be established in Nigeria? If we are going to do audience measurement in Nigeria, we must do it with local partners, transferring what we know and establishing our presence but allowing our local partners to be involved in the main part of the business based here. We feel they would better understand the needs of the Nigerian market. We’re like a thermometer: we can measure degrees but we don’t know the interesting categories for the local businesses. They would understand the market better than we do. For partnerships, trust is vital. There needs to be trust in the system, because if doubt occurs and it seems that the system can be abused, it deteriorates the trust, which defeats the purpose of audience measurement. So, we can be an independent entity outside Nigeria that has no reason to favour one company over the other; we can be the guarantor of the trust in the system. Meanwhile, operationally speaking, we want to create jobs here and have the business stay here. Does GARB have any plans to come to Nigeria? Yes, we have interest in Nigeria, but there needs to be an industry-wide agreement in the country to move forward with the measuring system. If the industry wants it, we are fully prepared to come in, following the model I specified earlier. We are believers in not being selfish with the system. Worldwide, there are four or five companies that do this type of business, and two of them are the largest players out of the US and the UK. However, the only way to work with them is if they enter and own the system. We don’t like that model. We prefer to have the business stay in whatever country we partner with, because the country is the major shareholder – it has more interest than us. Of course, we are also in the business to make profit, but the country has more interest because it owns the market. Usually, the media audience measurement is less than 1% of the entire media market; the other 99% is what stays here and what we look through. As I mentioned before, the facts are the facts: South African media makes three times more than Nigeria but it has a lower GDP and a smaller population. I’m quite sure that some of the budget that is spent here goes to South African channels, and some of the money goes from here to there too, instead of the other way, because Nigeria is the bigger market. Economically speaking, Nigeria should have more. If South African media makes US$1.4bn, Nigeria should make US$2bn and not US$400m. Nigerian media should be five times bigger than what it is right now. All these challenges can be resolved by themselves with the provision of firm data – data for each target audience, data that lets advertisers know which group of the market their content is reaching, data that is there for businesses to know if they should pursue investment or not. There needs to be a set price on TV ads. This works well in Bulgaria and may work in Nigeria too. What are your criteria for partnership? You said you need someone you can trust. Yes, but we are the guarantor of the trust. We’ll operate the back end of the system – the server product will come out of our data centres in Bulgaria, so all the data the market wants comes from us. Of course, we will go with whatever the market reference is, and the people and structure will be in Nigeria, but we will conduct constant system auditing to make sure everything is in top shape. Now, as to where or who this would be, that’s a little premature, as we have yet to make any such partnerships in Nigeria.